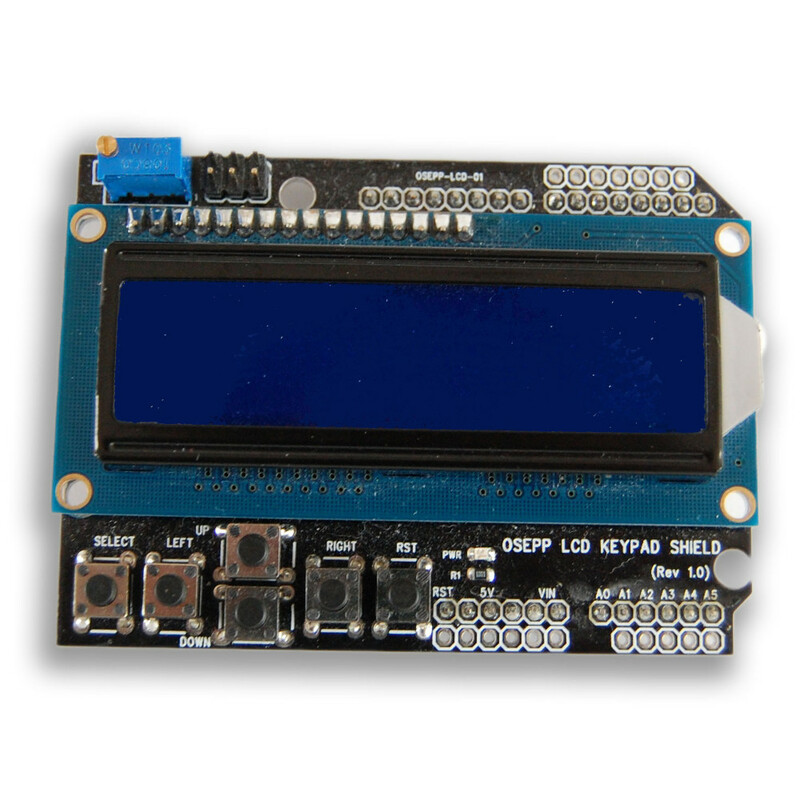 The OSEPP 16 x 2 LCD Display and Keypad shield can plug directly onto the Arduino and Arduino compatible boards. The LCD panel displays characters in white with a blue backlit and can display up to two lines of 16 characters. The shield includes 6 momentary push button that can be used to implement a 5 buttons keypad including up, down, left, right and select function. The sixth push button brings out the Arduino’s reset button to the top of the shield. The OSEPP 16 x 2 LCD Display and Keypad shield interfaces with the Arduino board using digital pin 4 to10 and analog pin 0. The contrast can be adjusted via a trim pot and the backlit can be turn on and off. The shield is 5V compatible.